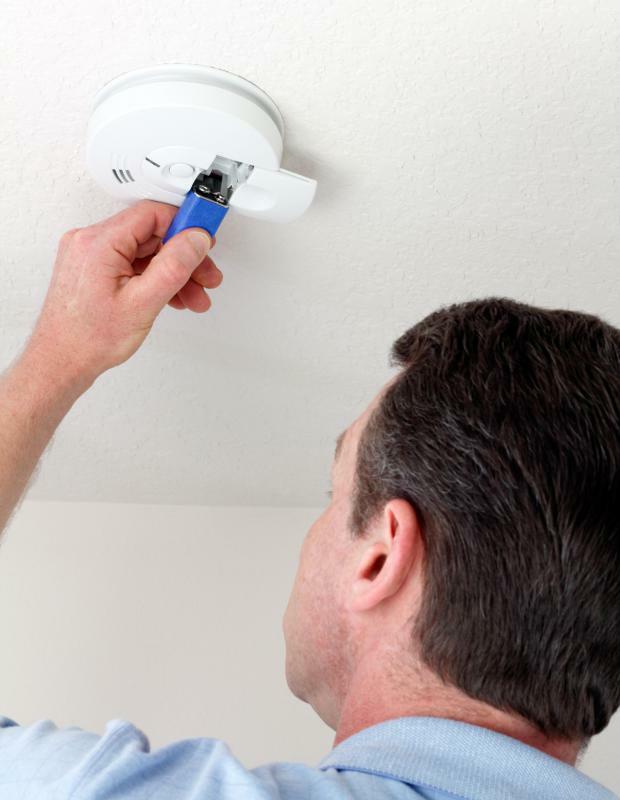 Newer wireless smoke alarms use longer-lasting batteries. 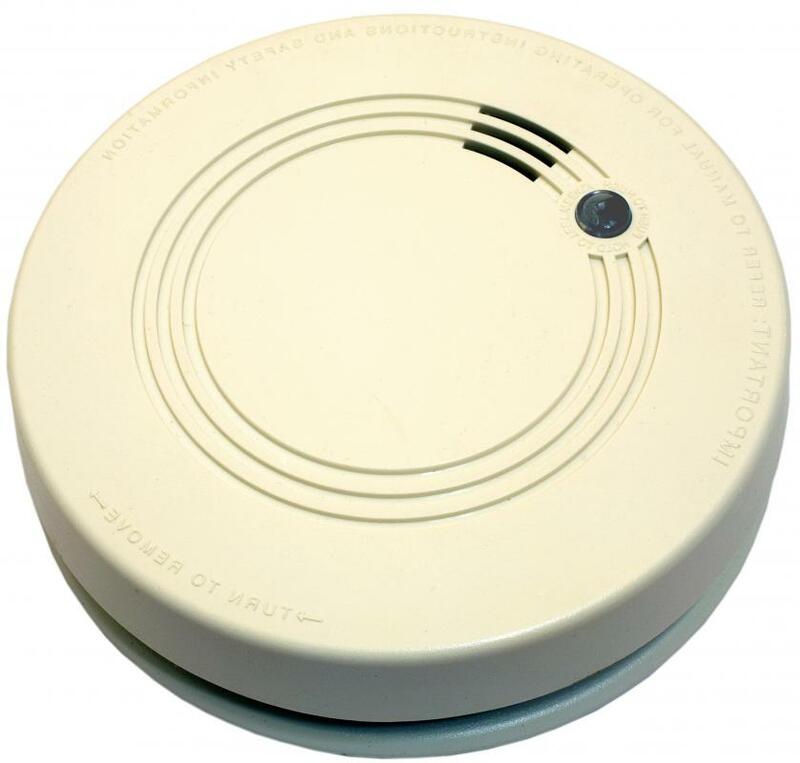 A wireless smoke alarm should be checked for working batteries on a regular basis. Choosing the best wireless smoke alarm is usually not difficult, as most function generally in the same way and do the same things. Most run on 9-volt battery power, but other power sources may lead to more convenience at a greater cost. Also, some wireless smoke detectors work through an ionization process whereas others work through a photoelectric system. Another feature to consider is connectivity of alarms throughout the home. If you find you cook at a great deal, and have a smoke detector that is routinely set off because of steam and smoke from that activity, a photoelectric smoke detector may be the best choice. Ionization detectors tend to be much more sensitive to smaller particles in the atmosphere and therefore are more prone to false alarms, especially when cooking. If you find you do not want the expense of a photoelectric smoke detector, it is possible to mix and match in different parts of the house. Both are available in wireless models. One feature that may help some who have a wireless smoke alarm is to make sure the system has a silence button. This will generally reset the alarm so that it does not offer an alert for a certain period of time. After that point, if conditions are detected that could possibly be smoke, the alarm will sound again. This is also convenient for smoke alarms near kitchens or even showers, where steam could affect the systems. The power source of a wireless smoke alarm could also be an important consideration, especially if you do not want to change batteries in a wireless smoke alarm every six to 12 months. In the past, options have been limited, but more smoke detectors are appearing on the market with alternative power sources that use lithium or other types of batteries. These are marketed as lasting as many as five to 10 years. Another current technology pushed in some wireless smoke alarms is inter-connectivity. With larger houses, or houses with multiple levels, a fire alarm in one portion of the home may not be heard in another portion. Some smoke alarms are connected wirelessly together so that if one sounds, all the others also sound. This safety feature ensures that all parts of the home are aware of a possible fire. The transmission unit is usually plugged into the wall, but the smoke alarms themselves can be wireless. If you have a monitoring company and want it to be alerted when a possible fire may happen, your options may be limited. Talk with the company to find out what products work with their systems. In some cases, you may need to buy or lease your wireless smoke alarm directly from the company. On the other hand, your monitoring company may allow you to use another vendor. What are the Different Types of Alarm Systems? What is a Wireless Fire Alarm? One of the safest sources of power is the good old electrical grid that runs through your house. A lot of smoke detectors are built to wire into that grid but still have a battery for backup in case the power goes out -- not an uncommon occurrence during a fire.